In operation since 1999, Vegas Technology develops the software used by some of our favorite online casinos and runs the best slots tournaments around. They have over 100 casino games available, big jackpots and accept players from just about everywhere in the world. Formerly known as 'Odds On', Vegas Technology is owned by EH Ventures and is run from Canada and Costa Rica. Their software is regularly audited and tested for game fairness and accurate payout percentages. Our favorites like Go Casino, Online Vegas & Super Slots all use the Vegas technology software to power their casinos. One of the best things about Vegas Tech is their slots tournaments. We think they run the best slots tournaments on the internet, with prizes into the hundreds of thousands of dollars. They often run slots freerolls for their players too, which are great way to introduce people to how slots tournaments work, as you don't have to pay an entry fee! There are also many progressive jackpot games available, with prizes that totaled over $2million at the time of writing. Red White & Win is one of these slots, a traditional 3 reel game with big jackpot prizes. There are over 80 slots games available in the software, and most of the casino brands also offer a no-download version that can be played from within a browser. 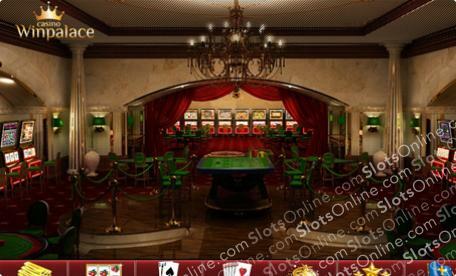 Although the downloadable casino that can be installed on computers running Microsoft Windows is a more feature rich option. We highly recommend the Vegas Technology online casino slots, and they accept players from everywhere except Canada, Antigua, Curacao, Panama, and the US state of Kentucky. Welcome Players from the USA!